Glaucoma can be treated only with medications or surgical implants, both of which offer varying degrees of success in helping to improve sight and to relieve pressure buildup inside the eye. The U.S. Centers for Disease Control and Prevention says about 3 million Americans have glaucoma. The Purdue glaucoma drainage device is built with microactuators that vibrate when a magnetic field is introduced. The vibrations shake loose the biomaterials that have built up in the tube. The Purdue technology is published in the latest issue of Microsystems and Nanoengineering. 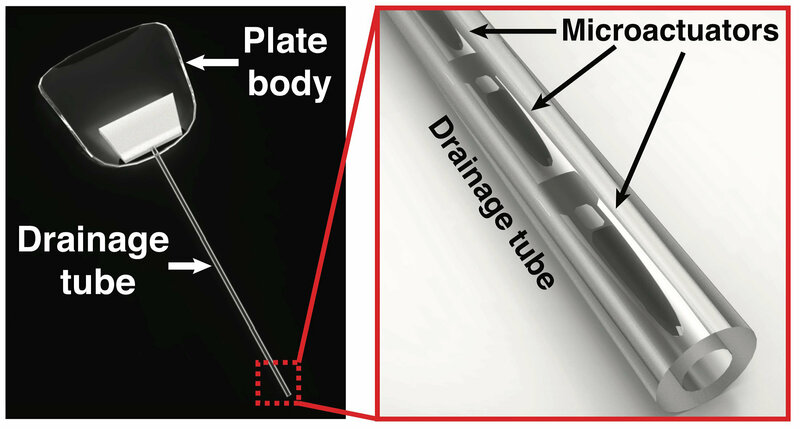 Another unique aspect of the Purdue device is its ability to vary flow resistance, which allows the drainage technology to customize treatment for each patient at different stages of glaucoma with varying degrees of pressure buildup inside the eye. Other members of the Purdue research team include Arezoo Ardekani, an associate professor of mechanical engineering, and Simon John from the Jackson Laboratory. The work aligns with Purdue’s Giant Leaps celebration, acknowledging the university’s global advancements in health as part of Purdue’s 150th anniversary. This is one of the four themes of the yearlong celebration’s Ideas Festival, designed to showcase Purdue as an intellectual center solving real-world issues. Researchers are working with the Purdue Office of Technology Commercialization to patent the technology. They are looking for partners to license it.